U.S. District Judge Lee Yeakel on Monday granted a preliminary injunction sought by Planned Parenthood in the case, saying the state couldn’t bar the group until the lawsuit is decided. Texas Attorney General Greg Abbott quickly sought a stay at the 5th U.S. Circuit Court of Appeals. The stay was granted by Judge Jerry E. Smith on an emergency basis. Smith also asked Planned Parenthood to respond. On Friday, a three-judge panel including Smith vacated the stay. meaning Yeakel’s injunction remains in force. Among other points, the court’s Friday order said a filing by Planned Parenthood called into question the state’s declaration of an emergency need for a stay. State officials have said they’d have to shut down the program if forced to include Planned Parenthood. But the appellate judges said Planned Parenthood cited an affidavit saying operations would cease when federal funding ran out, and there are indications such funding will continue until November. As Juanita says, “Pong!” You can read the court’s order there or at Postcards, which notes that the judges said in their ruling that the brief submitted by Planned Parenthood, which showed that federal funding will continue until November, “undermines the State’s assertion of irreparable harm if the injunction is not stayed pending appeal”. The Trib quotes them as follows: “[We] cannot conclude, on the present state of the record, that the state has shown a great likelihood, approaching a near certainty, that the district court abused its discretion in entering the injunction.” So there you have it. The ruling is temporary and doesn’t guarantee anything in the end, but for now at least the status quo is restored. Statements from Planned Parenthood Gulf Coast and State Rep. Jessica Farrar are beneath the fold. “Our doors are open,” Planned Parenthood says. (Houston, TX)— A federal appeals court today rejected the state of Texas’ efforts to block women’s access to preventive health care services at Planned Parenthood health centers while a lawsuit on the issue proceeds. “This case isn’t about Planned Parenthood — it’s about the women who rely on us for cancer screenings, birth control, and annual exams. “Our top priority is ensuring low-income Texas women have access to life-saving preventive health care from their trusted provider without interruption. We will always be here for the women and men who rely on us—no matter what. “Governor Perry has already thrown 160,000 women off of health care for partisan political reasons —there could be more to come if he ends the Women’s Health Program. 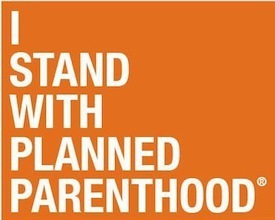 HOUSTON, TX– Today the Fifth Circuit Court of Appeals overturned a Tuesday ruling by Judge Jerry Smith, which would have allowed the state to continue to disallow women from choosing their own provider in excluding Planned Parenthood from the Women’s Health Program. “I applaud the Fifth Circuit for overturning Judge Smith’s ruling, thereby allowing thousands of Texas women who utilize the Women’s Health Program to continue to choose their health care provider. Among other reasons offered for the decision, the Fifth Circuit rejects the State’s stance that the Women’s Health Program will cease to operate immediately upon termination of federal funding, citing evidence indicating that such funding is continuing until November 2012. In the State’s arguments, Attorney General Abbott continues to ignore the fact that abortion services and family planning services are separate as required by State law.